Discusses the decline of employer-based health insurance, various options for employers, and the debate over legislation to strengthen employer-based coverage. 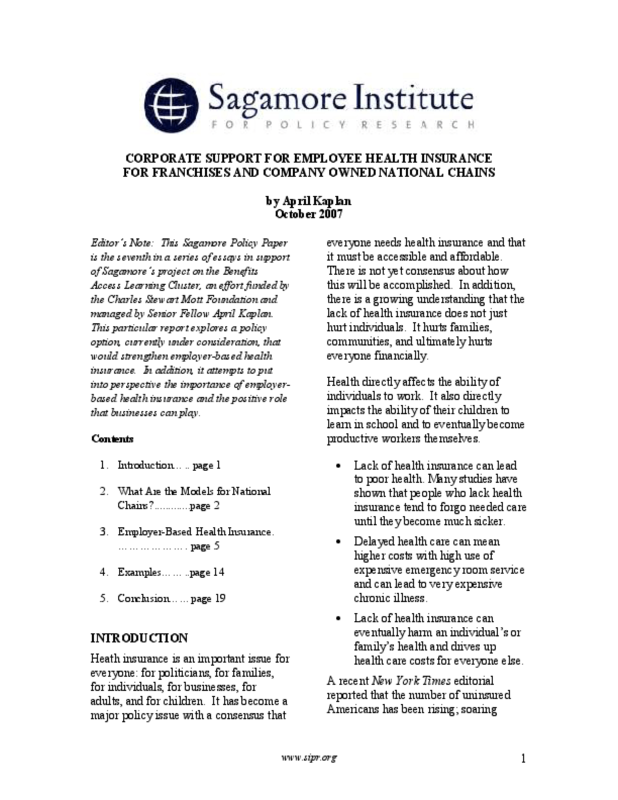 Gives examples of innovative ways in which some businesses provide employee health insurance. Copyright 2007 Sagamore Institute for Policy Research.